Control motor speeds to their optimum level. Motors normally run at a fixed speed with a constant power draw. This is ideal when the work that the motor is doing never changes and the motor is perfectly sized to this work. minute as the demand for heating or cooling within a building varies. loading’ level. Motors are at their least efficient when partially loaded and waste considerable electricity. Motor speed has a direct impact on the amount of energy consumed. 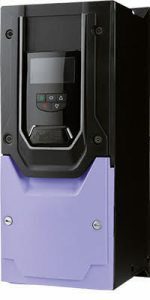 Variable Speed Drives (VSD’s) are a common approach to deliver energy savings on motors. Rather than motors running flat out, VSD’s enable the motor speed to be varied according to load requirements. The result is a considerable reduction in electricity usage and extended motor lifespans. Applications for VSD’s include pumps, fans, HVAC and refrigeration compressors and other fixed speed motors. Depending on the application, a small reduction in speed can deliver large energy savings. For instance, reducing the speed from 50Hz to 40Hz can result in a 50% reduction in energy usage in certain situations. Contact us if you are interested in how Variable Speed Drives may benefit your business.